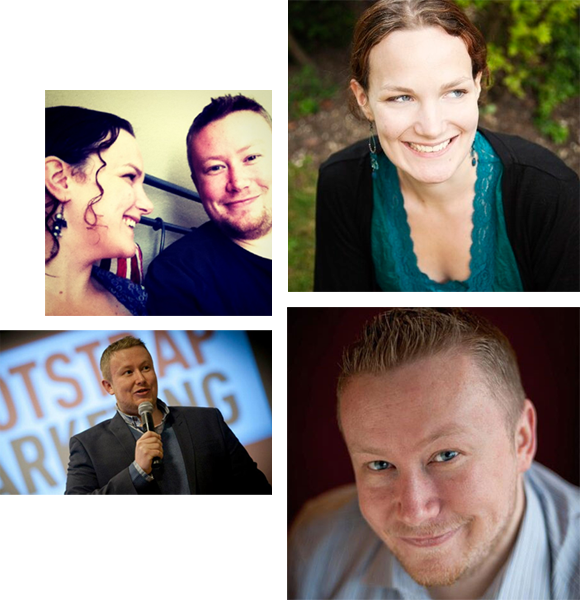 From weight loss to business coaching, executive training to bass guitar, and everything in between - we spent years helping great clients to achieve fantastic results from their online business. I made my first dollar online 17 years ago, and that was enough to hook me on not only figuring out how the tech gubbins of websites worked, but also how to marry that with marketing strategy to build an actual online business. I've enjoyed a lengthy career, running my own agency and working with businesses of all shapes and sizes - including national brands such as McDonalds, ITV and Ancestry.com - as well as being at the forefront of growing a number of highly successful memberships. As the host of our podcast, I'm a little fond of the sound of my own voice and I'm partial to the occasional opinionated rant, borne from a passion to help others navigate the murky waters of online marketing. When ill health forced me to reconsider my business, investigating alternative ways to leverage my knowledge and continue helping people led me into the world of digital products and memberships. I quickly realised I loved the behind the scenes more than the subject I was teaching; and I became a little obsessed with figuring out the tech side of memberships and the strategy to make them a success. Partnering with Mike was a no-brainer; and after spending years growing successful memberships for our clients I now love nothing more than teaching thousands through our content and our own membership - the Member Site Academy. We publish articles, podcasts and videos on a regular basis, sharing proven membership strategies & advice. Join thousands of fellow membership site owners & experts, ask questions and get feedback. Take your membership to the next level with extensive courses, tools, resources & support. Can I hire you both to build my membership website? Sorry, as much as we'd love to help you we're officially "out of the game" and no longer work with clients on a one-to-one basis. This isn't us playing hard to get either so it's not a case of asking us nicely; the answer will always be no. Would I be able to arrange a consultation call to get some advice? Same thing as above. The place to get access to us is inside our membership site, the Member Site Academy. We don't do private consultancy. Can you recommend a membership plugin/marketing strategy/web developer? We have a lot of content on this very site and on our podcast about choosing membership plugins, marketing strategy and so on. Check out the Getting Started page to be pointed in the right direction. In terms of recommending web developers this isn't something we're currently able to do for various reasons. Can I interview you for my podcast, blog or publication? We're always open to invitatons for us to talk about all things membership related, and will happily consider any interview requests. Simply send us a message via our contact page with a little bit of info about your show/blog etc and we'll get back to you. We'd be happy to discuss the opportunity to be involved in your event. Please note, however, that Mike is the only one who does public speaking (Callie's a little shy...) If that doesn't put you off, please click this link for more details. When you say "partner", do you mean like partner-partner, or just partner-partner? Well obviously we mean partner-partner! Or more specifically we are an actual couple, not just business partners. Mike hasn't Beyonce'd up and put a ring on it yet though.